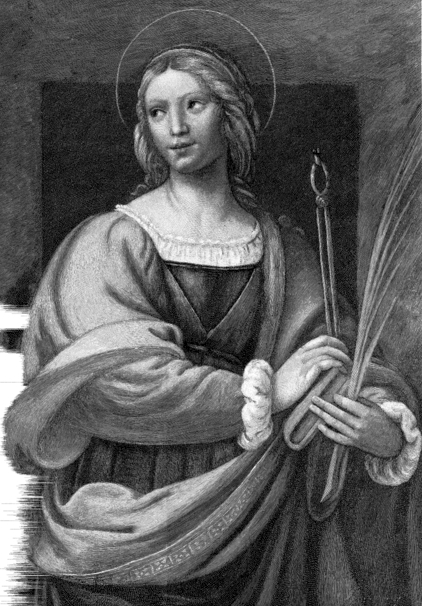 During the persecutions of Decius, St. Apollonia, an elderly Deaconess known for her sanctity, refused to sacrifice to idols. An enraged mob seized her and knocked out all her teeth. She was threatened with being burned alive in the fire they had made. She asked for a moment to think things over. She then broke free from her captors and, prompted by the Holy Spirit, jumped into the fire. They were surprised that this weak woman was so anxious to die for Christ. The just man is a light in darkness to the upright. What petition in the Lord’s Prayer will not be heard unless we first meet a prior demand?